We’ve focused a lot so far on things we can do with a fragment shader: tinting, brightening, mixing—all that jazz. You’d be forgiven for thinking that vertex shaders exist only to pass information to the real stars of the show, but nothing could be further from the truth. 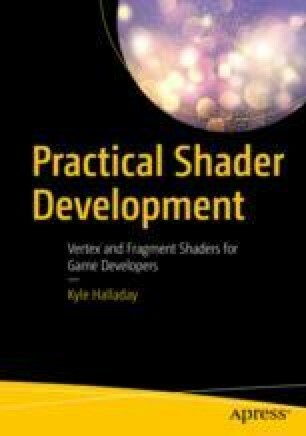 While fragment shaders drive a lot of the visual effects that we’re used to in modern games, vertex shaders are the unsung workhorse of modern video game graphics, and this chapter is going to focus on why.